On the eastern end of 7th Street, in the bustling town of Bloomington, California, lies the popular Green Acres Cemetery. Throughout most of the year, the cemetery is quiet, but every Halloween, that changes. 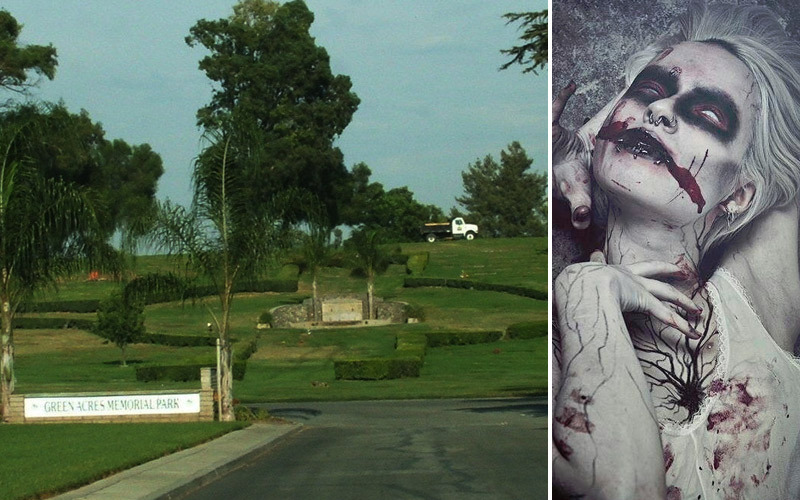 Every Halloween, Green Acres Cemetery is haunted by a dead girl who can’t find rest on the cemetery grounds. Lush green grass and manicured gardens provide a quiet resting place for the dead in Bloomington in Green Acres Cemetery. Visitors to the graveyard find it a peaceful place to remember their loved ones. That is, until night falls on Halloween. On Halloween night, locals report hearing disturbing noises coming from the cemetery. One visitor to Bloomington, who was there to remember his late father, reported that he went to Green Acres Cemetery during the day of Halloween. He contemplated for so long by his father’s grave that he lost track of time. The sound of a woman screaming brought him back to reality. He chased the scream through grave sites and around mausoleums until he ended up in the southeastern part of the cemetery, near three marble chairs surrounding a table. He saw a dark mark on the table. When he stepped closer, he realised the mark was red. Blood pooled on the table. It dribbled onto the ground. The witness didn’t wait to see where the blood was coming from. Do The Dead Scream In Bloomington? Some dark, disturbing rituals may have happened in Bloomington many years ago. Rituals that involved the summoning of the dead. Some rumors claim that in the 1980s, when Satanic Panic was terrifying American parents, a group of young Satan-worshippers attempted to bring back the dead from their graves. They sacrificed a young woman on that very table in the southeastern corner of Green Acres cemetery. Her blood was supposed to bring back the dead. Believing they’d failed, the young Satanists left the cemetery. In their wake, the woman rose. No one knows where she is 364 days a year. But on Halloween night, witnesses at the cemetery report seeing glimpses of a woman in a bloody dress. 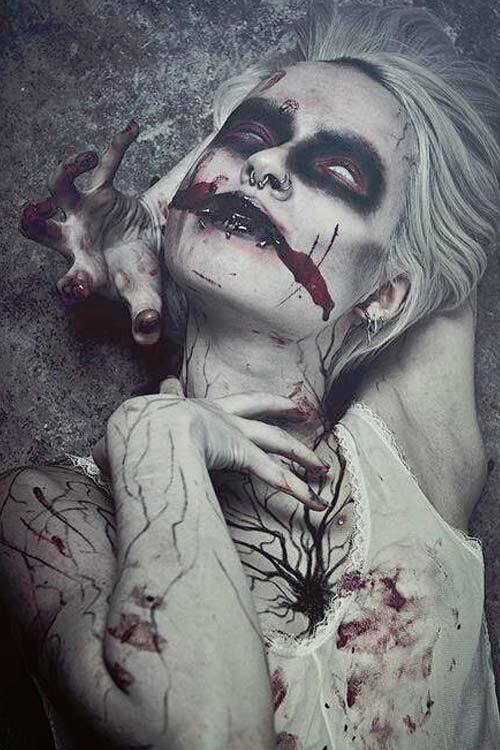 Her eyes are rotten and her hands are grazed, as though she’s just torn her way out of the ground. What does she want? Is she dangerous? Or is she no more than a lost soul? No one might ever know. Have you visited the Green Acres Cemetery in Bloomington, CA? Do you have any ghost sightings to share? Tell us in the comments below and share this with your friends. Click the Share button below.